PVC roofs are distinguished by the way they are put together, using hot-air welding (fusion welding) of the seams. Hot – air welding creates a permanent physical bond between the sheets that is actually stronger than the membrane itself, making PVC roof installation fast and ensuring that critical areas are permanently watertight. 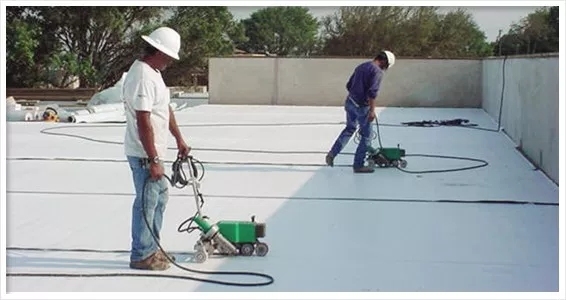 Moreover, hot-air welding also ensures that the membrane will remain pliable and will be impervious to leaks, even if there are puddles of water on the roof.